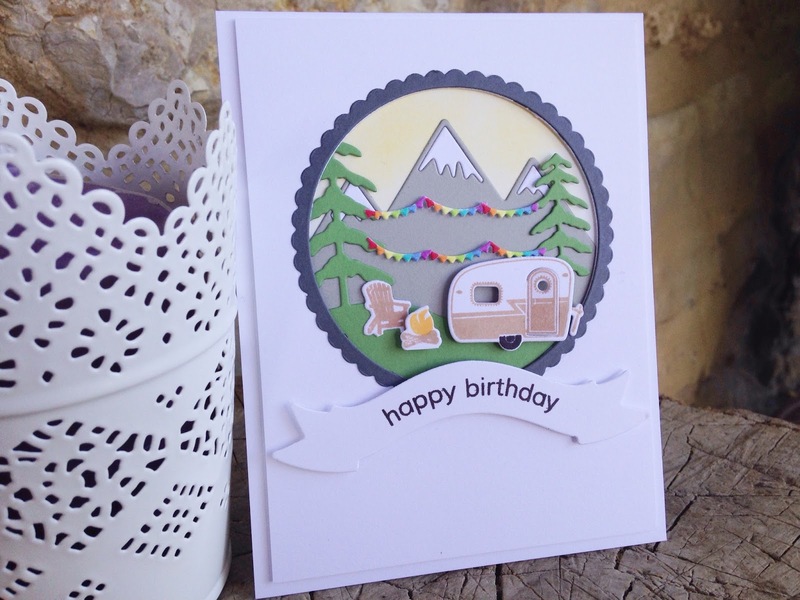 Look at that little camper and how amazing is the bunting? What a fantastic set this is from Betsy - every Petite Places releases has me squealing with glee!! I hope you found some inspiration here. Thanks for visiting and if you are joining in with the blog hop please leave a comment so that I can visit your creations and give them some love. 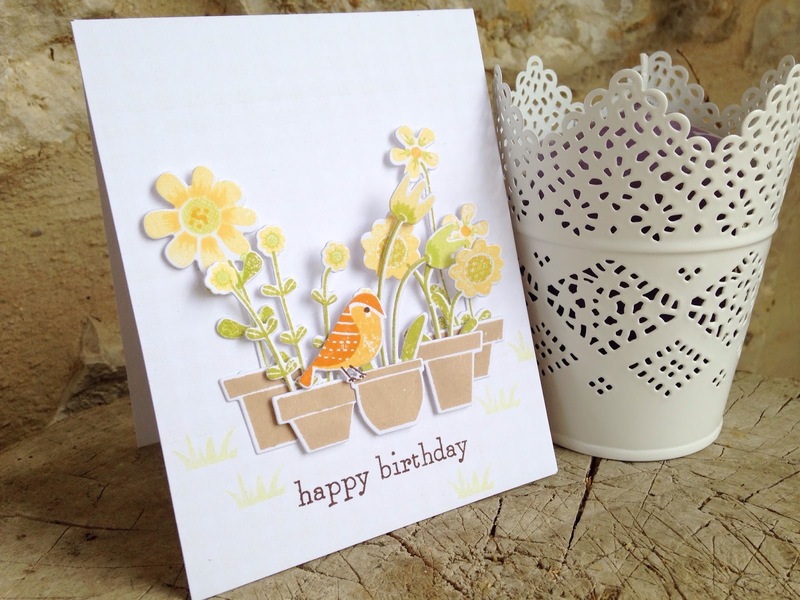 Both cards are just awesome... Love the bird card and isn't that little caravan just adorable?!! Both cards are sweet. 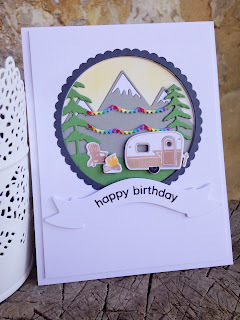 I'm with you on the bunting for the camper - so very cute!!! thanks Darnell, I do love my other card but the little camper van had me clapping my hands!! Ha! Yes, we all squeal when our PTI box arrives! Love the bunting hanging from the trees! You are a master at playing with that set already! But I truly think the first card is a lovely one also. 'Just not as fun', so true! Two amazing cards...love the rainbow banner, and that Petite Pots card is fabulous! 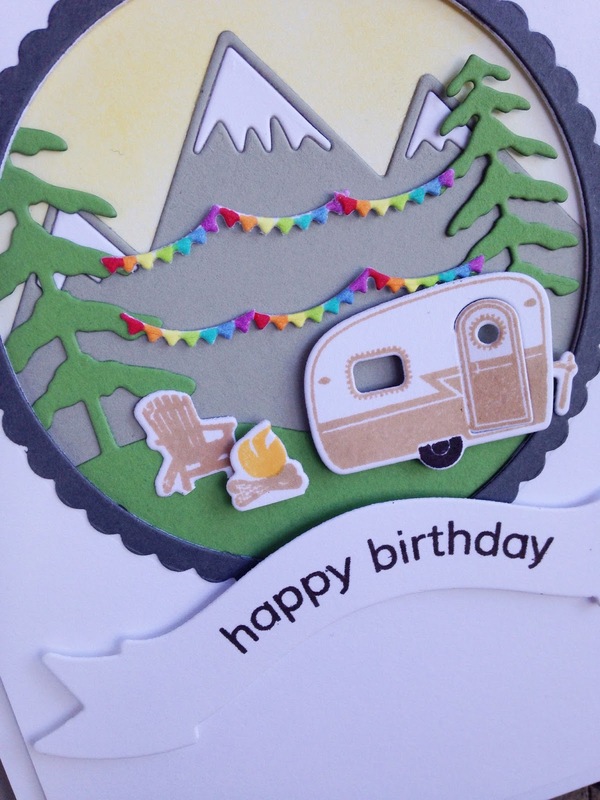 Two lovely cards - the camping scene is so fun with the colorful swags - and the pots and bird card is beautiful! I love your fun little scene on the first card -- those banners are adorable! 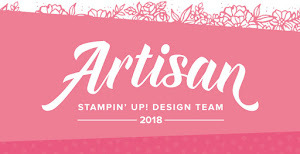 And I totally think your second card is fun -- and very pretty, too! 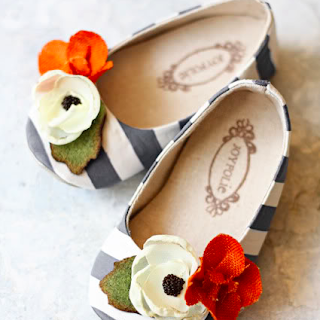 cupcake sprinkles and a *sweet* offer!